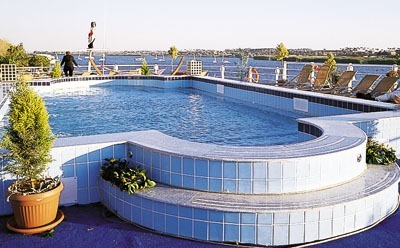 MS Magic 1 is a spacious and comfortable Nile cruise ship, accommodating 140 passengers in 72 bright, welcoming cabins. Tastefully furnished throughout, MS Magic 1 provides high standards of service and a good selection of amenities and facilities including a swimming pool for a refreshing dip during the day. Sun deck with swimming pool, sunbeds and bar; restaurant; lounge bar; bar; billiards room; reading room with chess and card tables; bazaars; wireless internet service; laundry service; room service on request. 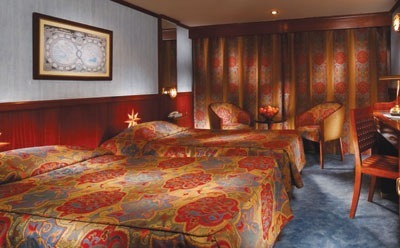 Your cruise is on an all inclusive basis. Meals are buffet style and include a good selection of international dishes. Afternoon tea is served whilst sailing. Drinks include all soft drinks by the glass, bottled mineral water, plus local wine, beer and local spirits (such as brandy and whisky) by the glass. Time restrictions on all inclusive amenities may apply. Evening entertainment includes a Galabeyah party, folklore show, Oriental night with belly dancing, and a nightly disco in the lounge bar. 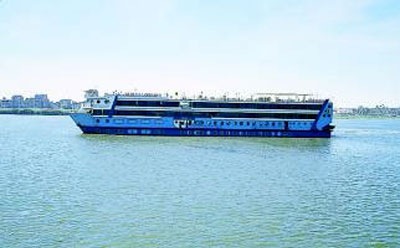 All cabins are outside cabins and have twin or double beds; air-conditioning; satellite TV (when docked); central video system; fridge; safety deposit box; hairdryer; shower and wc. Tipping is expected in Egypt. Expect to budget for about £30 for tips. For your convenience this may be collected at the beginning of the cruise. See the stunning sights of ancient Egypt as you cruise through boundless desert landscapes on the world's longest river.